Chess is a game that is played worldwide. It does not have barriers because the rules and strategies are the same, regardless of language or culture. Through Wing Chess, we hope that our students can begin to learn and master the game of chess. And in this way, they can also start to broaden their view on the world. Our hope is that our students will one day be able to compete internationally. Currently, we have a program in place where our students can play international students virtually. This allows students to constantly improve because of the variety in opponents. 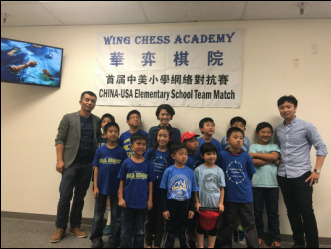 In the future, Wing Chess hopes to provide an exchange program where students from two different countries are able to play each other face-to-face.